ECDPMA challenging time for two Sudans: How can the EU help? 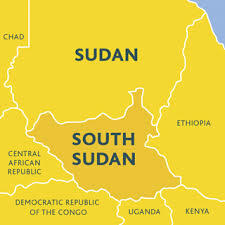 The creation of the world’s newest state, South Sudan, on 9 July is the consequence of an overwhelming vote for secession in the Self-Determination Referendum held in January 2011 in southern Sudan – more than 99% of voters opted in favour of separation from the rest of the country. The referendum was part of the Comprehensive Peace Agreement (CPA) signed in 2005, after years of negotiation, by the Government of (North) Sudan and the Sudan People’s Liberation Movement (SPLM) ending Sudan’s second civil war. CPA provisions include nationwide elections (held in 2010) followed by a Self-Determination Referendum. It also provides the basis for complex negotiations on critical issues for the future of North-South relations. The CPA marked the beginning of power sharing and brought some peace dividends to the population. The peace process, however, increasingly focused on the Self-Determination Referendum, neglecting other political priorities. South Sudan’s government, led by the former SPLM, now faces the daunting challenge of building a new state in a region with scarce to no basic services, limited infrastructure, weak institutions and interethnic conflict. The new government of South Sudan must also gain the trust of citizens who do not always seem to feel represented by the authority of the SPLM. Significant issues associated with the CPA arrangements need to be negotiated with outcomes that are agreeable to all parties – wealth (oil) revenue sharing, definition of North-South relations, border demarcation, external debt, security arrangements, and issues of citizenship. On top of this, relations with the North are deteriorating as violence escalates, especially in the border areas of Abyei, South Kordofan and Blue Nile. It seems unlikely that the secession will mark the beginning of a new era of peace. Some analysts even predict the South will become a failed state. Others, however, say the challenges are no greater than those posed by the historically unequal relations and two Sudanese civil wars, which have shaped the country since its independence from British and Egyptian rule in 1956. The EU and its member states have supported the Sudanese peace process and plan to stay engaged, particularly in helping to facilitate a new institutional arrangement on border demarcation and other outstanding CPA issues. To date, however, EU member states’ engagement has been largely bilateral with little EU coordinated action. The collective political impact of the EU could, however, be strengthened through the implementation of the Lisbon Treaty and European External Action Service. But EU-Sudan relations are difficult. Relations were suspended in March 1999 and resumed only after the signature of the peace agreement. Since then, relations have deteriorated and the level and frequency of political dialogue diminished due to the crisis in Darfur and the International Criminal Court (ICC) arrest warrant issued for President Omar Al Bashir in 2009. One of the immediate consequences of the ICC arrest warrant was that the Sudanese government did not ratify the revised “Cotonou Agreement” in 2010 – the main legal framework for the EU’s cooperation with the African, Caribbean and Pacific (ACP) Group of States. The agreement is at present the only legally binding instrument that includes an ICC-related clause – Article 11 – which states that “the parties shall seek to take steps towards ratifying and implementing the Rome Statute and related instruments”. The Sudanese government also had reservations with regard to the agreement’s provisions relating to reproductive health and terrorism. In order to continue its support and fill the financing gap, the EU decided to use global funds that were not spent from the 9th EDF. Over EUR 500 million in development assistance have been committed since 2005. Other complementary financial instruments, such as the Instrument for Stability (EUR 15 million), have provided basic services in the south and support the referendum process. EU Council Decision 2010/406/EU of 12 July 2010 allocated EUR 150 million (EUR 85 million for southern Sudan) of de-committed funds from the 9th and previous EDFs for “the needs of the most vulnerable populations in Sudan”. Additional funds amounting to EUR 200 million have been allocated under Council Decision 9953/11 in order to respond to the creation of the new country in the context of the forthcoming Government of South Sudan’s “2011-13 Development Plan”. The EU and the ACP group of States decided to use a “flexible procedure” to enable the newly independent South Sudan to become a party to the Cotonou Agreement. One of the most important implications of this decision is that South Sudan will be eligible for bilateral development cooperation under the 10th EDF. It will also provide a framework for EU-South Sudan political dialogue and possibly future trade relations. South Sudan’s accession to the Cotonou Agreement could, however, further complicate relations with the North due to the ICC clause and its implications. South Sudan will also have to confront structural challenges and the escalating violence in the border areas which – if left unaddressed – could restart the war with the North. Defining a political strategy and the framework for relations with both North and South Sudan is an immediate challenge for the EU. The EU must decide whether to support South Sudan’s development process mainly through the Cotonou Agreement framework or to try to raise its profile and get further involved in the fundamental political processes and forthcoming negotiations that could bring a solution for long term stability in the region. The EU also needs to explore innovative ways of negotiating and defining common interests with the Northern government. The Joint Africa-EU Strategy (JAES) could provide space for political dialogue. However, it is not very specific regarding national and local level interaction. One of the main issues on the table is Sudan’s foreign debt, which is expected to hit USD 40 billion this year. The EU is “ready to examine closely” its support for international debt relief efforts consistent with political progress (resolving the Darfur conflict and post CPA outstanding issues). Six EU countries (Austria, Denmark, Belgium, UK, France and Italy) are among the top ten creditors of Sudan giving the EU the opportunity to improve relations and possibly influence Sudanese debates on issues such as Darfur. The EU could play a crucial role in coordinating its member states’ position on this issue. But the track record of financial conditionality influencing policy change in Africa is mixed. Moreover, the picture of the EU in North Sudan perception seems not to be clearly understood. What the driving forces behind the EU’s policy towards the country of Sudan are and what the genuine interests are should be necessarily explained. Sudan’s crises – in the South, West (Darfur) and East – are all power-related. The North Sudan government has the opportunity now to compensate for the historical precedents of unequal bargaining power, create internal stability and normalise its international relations. For South Sudan, independence has set it on a new path – one full of challenges and difficult choices that will condition its future. The oil-rich border region of Abyei is one of the key issues both governments will have to urgently resolve to ensure peaceful future relations. This will require meaningful international support, good will, creativity and diplomatic skills in the Horn of Africa, the EU and other international actors. Despite the challenges, hope remains high that the first birth of a new country in Africa since Eritrea will lead to benefits for the people of both South and North Sudan, the region and the continent. Maria Angeles Alaminos Hervas is currently an intern at ECDPM and is studying for a Ph.D. in International Relations at Complutense University (Madrid). She has undertaken research in the School of Oriental and African Studies (SOAS) at the invitation of the Centre of African Studies and stayed in Sudan from July 2010 to April 2011 where she was an intern within the European Union Delegation in Khartoum. Her research interests include conflict prevention and resolution, EU-Africa relations, institutional change, and Sudan politics. This Talk Points blog is written in a personal capacity.